Stokely Event Center has many free-to-play arcade games to ensure your guests always have something to do. With various pinball machines, Skee-Ball and other games, you can be sure your guests will be entertained. With our large venue size, you will also have room for other planned activities as well! It can be disheartening to spend time making the perfect birthday party playlist or slideshow and not being able to share it. At Stokely Event Center we include our audio and video equipment in the price so you are always covered. With plug-and-play functionality, your birthday party will be starting in no time! Stokely Event Center knows that no one likes to clean up after having fun at a party. If you have a party at your home, this is an inevitable future that awaits you after the party ends. By having your event with us you can be sure that cleanup will be taken care of. You worked hard to make this party happen, enjoy it without the looming fear of cleaning! 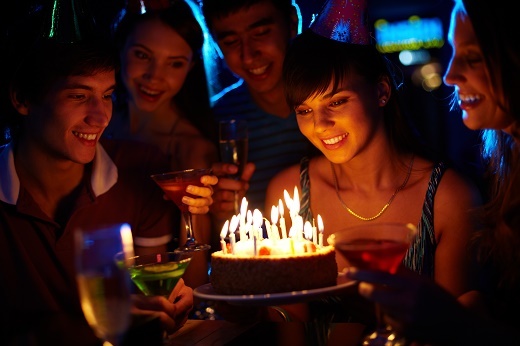 Catering can add up quickly and may not fit the budget of most birthday party planners. Stokely Event Center understands that you may want to bring your own food and drinks, so we won’t stop you. Some groups will even bring their own smoker or grill to supply their party with BBQ, burgers, hot dogs or any other food they want! If you are currently looking for a venue for your event, Stokely Event Center can make sure your special day is unforgettable. Guests to your reception will love the free-to-play games and a wide assortment of decorative signs. With the flexibility of catering in outside food and drinks, event menus can fit a variety of preferences. Our sound system, projector and screen are included for one great price to meet your audio/visual needs. If you are interested in reserving Stokely Event Center, please call us at 918-600-4448 or complete our online request form. We can’t wait to be part of your special day!